Computers and their use has become so widespread today that no office is complete without a few of these machines and the paraphernalia that comes along with them. In fact, computers make work faster and thus help in improving the efficiency of the employees. Computer furniture has evolved over the years and computer desks have become an integral part of furniture in all offices. Computers have allowed digitization of documents and it makes it possible to save and store files in electronic form. Thus they have emerged as space savers as far as storage furniture is concerned. Computer desks are mainly used to place computer monitors, the CPU’s and the UPS’s in addition to speakers and other accessories. However, computers are not used for entertainment purposes in offices and their utility in offices remains as fast computing and processing machines that create, save, and store office documents and files. They are also used to print documents in a very quick time. The use of computers also enables people to connect and communicate with others through webcams that are placed alongside computers on computer desks. This is the reason why computer desks differ in styling and shape from normal office desks that are meant to read and write. There is also the keyboard with all computers that is kept under the desk in a moving tray that can be slid to take out the keyboard to do work. There can be no two opinions about the importance and relevance of computer desks in all offices today. Whether your office is involved with the world of IT or you deal in any other profession, you cannot make do without computer desks. Employees that sit on these computer desks work for many hours at stretch. Thus it is very important to buy computer desks that are ergonomic in nature and design. Such a design ensures that the individual working on these desks does not tire out and does not suffer from backaches and headaches because of a wrong posture. However, ergonomic design in itself is not a reason enough for most office owners to decide in their favor. These computer desks have to be most functional to not only hold all the computer paraphernalia but also allow the employee to work conveniently and comfortably all day long. Once you have got the desks for computers in your office that are ergonomic in design, you have to narrow down your choices by striking off designs that you do not find attractive. Today computer desks are not just furniture pieces to place computers, CPU’s, UPS’s, printers, keyboards, mouse etc but also items that can catch the attention of the visitors to your office by their beauty. The beauty of these computer desks has enhanced considerably ever since they started to have inbuilt holes at their top to allow for taking the cords of monitor, UPS, CPU etc to connect with the monitor without creating a mess of electric cords. All the cords pass through this hole created at the top and there is no need to keep the back of the computer desk open. This also allows desks at the reception of offices to keep computers at their top without requiring their backs to be open. In present times when office spaces have gone down drastically with small cubicles being given to employees to work on their computers, computer desks have evolved in such a manner to maximize this limited available space. Most of the desks today are self contained units allowing the employees to have everything he would need in a day’s work in addition to conveniently placing all the accessories of the computer over and under this desk. To make these computer desks even more functional, there is a lot more storage space in these tables in the shape of drawers and small cabinets. 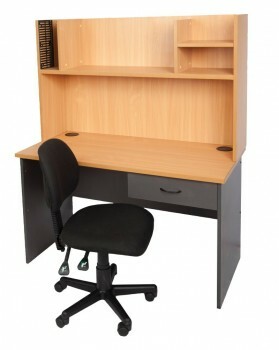 To cap it all, there are also available L-shaped computer desks that are much more comfortable for the users as they have larger storage space at the disposal of the user. These are two different units that are joined at right angles to create a single L-shaped computer desk. On both the units that are on either side of the user, there is enough storage space that can be used to store files and other important documents. There is a huge range of computer desks available in the market. You can find it overwhelming to find desks that match perfectly to the requirements of your office. There are not only differently shaped computer desks but also desks that are made from different materials. Wood is the universal choice for these office desks though fiberglass and desks made of steel are also becoming popular these days. You are not restricted to skin colored computer desks anymore as you can find all imaginable colors because mica sheet is pasted on the top of these tables these days. But more than the color, it is the functionality of the table that matters the most to you. First of all, the dimensions of the office floor or the cubicles that you assign to the employees decide the shape and size of the computer tables that you must buy for the office. You have to buy desks that leave enough space for the employees to feel comfortable while working. 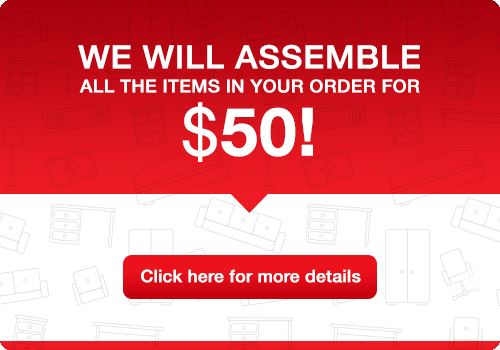 However, you also need to make sure that these desks fulfill all requirements of storage that include not just the computer and its accessories but also all important files and folders that are physical and required for efficient functioning inside the office. You can start by looking at all the latest designs and shapes of computer desks on internet. There are many companies selling high quality computer desks on internet and you can narrow down your choices by comparing the features and prices of different models.